We are a family firm with nearly 40 years experience, we use that experience to ensure that you get just what you are looking for at the best price available. 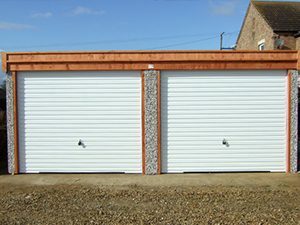 Over that many year period, we estimate that we have supplied in excess of 6 thousand concrete garages, workshops and sheds nationwide to happy customers. 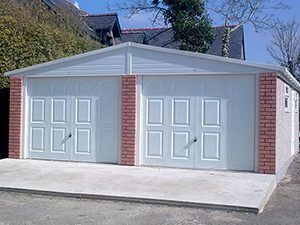 We are the only company who represent the majority of concrete garage manufacturers. 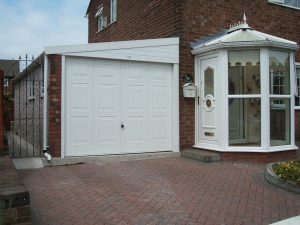 This enables us to find the best garage for the best price for you. We like working directly with people, we like to see your site and to work with you face to face to ensure that you get exactly what you need. Other companies can only offer one option in your area, we can offer many which results in really good savings for you. I am really pleased with my new garage, which involved site clearance and a new drive. Alan put us under no pressure and gave the best quote from the three we had. We went for an extra long garage to give us space for the car, storage and a workbench. 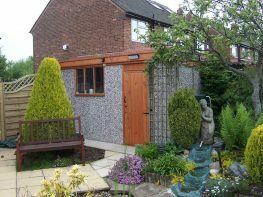 Alan came to look at the job that I needed doing, he organised the removal of the asbestos garage, the laying of a new base and the installation of my new garage. I selected some extras to complete my purchase, I am really happy with the whole process and the garage! I thought my job was really complicated, we needed site clearance, a new base and a new garage. Alan surveyed the job and quoted £2000 less than any other quote. Alan came to see me on three times because i kept changing my mind. He was really patient and help me make the right choice. My garage is completed, it looks great, I am really pleased with it, everyone involved worked very hard and been very helpful, my neighbours commented on how good it looks, and how impressed they were by the speed of construction and finished appearance. Alan recommended the precise building to meet my exacting needs, it is now insulated and kitted out for use as a workshop and home gym which I use every day. We have specialist personnel who are trained to demolish, remove and dispose of unwanted buildings safely. Available for new garage foundations or drives on a nationwide scale provided by professionals.